It’s still spring in the Rockies, and wildflowers are coming out of hiding. Here are some I found along Last Dollar Road on my ride last Friday. A bird surveys a wildflower profusion of blue and yellow. The yellow are Mule's Ears. 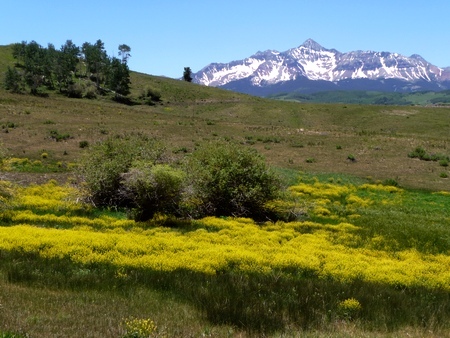 Last Dollar Road features significant elevation changes, so the wildflowers that are abundant at lower elevations (8000 feet) are not yet blooming at higher elevations (10,000 feet). One example is the Mule’s Ear. 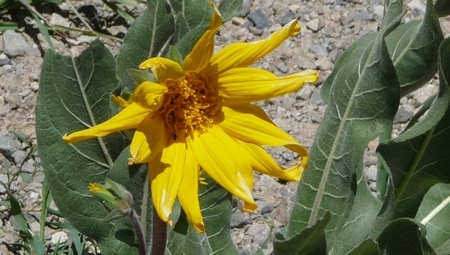 Here's a pretty good sized wildflower, the Mule's Ear, with blooms a couple inches across. These are currently in bloom at lower elevations and will soon bloom at higher elevations. 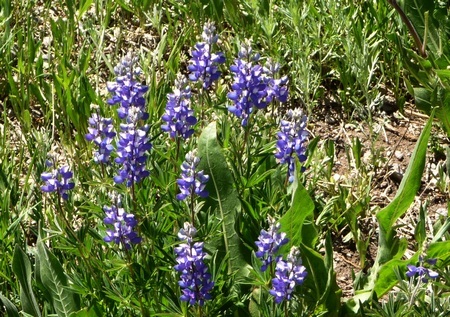 This plant is abundantly represented in the San Juan Mountains of Southwestern Colorado. Here's what those blue flowers look like up close. Here's a closeup of yellow flowers that are blooming in profusion along Last Dollar Road. 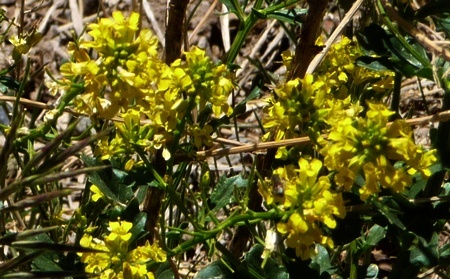 These yellow flowers, seen in closeup in the previous image, band together to form bright yellow patches in the green meadows.